George Orwell's classic dystopian novel, 1984, has suddenly surged to the very top of the Amazon's bestseller list. Though first published in 1949, it's back with a vengeance. And George only has the new administration to thank. Note: You can download Orwell's 1984 as a free audiobook (or two other books of your choice) if you sign up for Audible.com’s free trial program. Learn more about Audible’s free trial program here. …and the Big Government-loving ‘Progressives’ reading it are completely oblivious as to whom Orwell was criticizing in the novella! Don’t let Orwell become a prophet. This is incorrect. 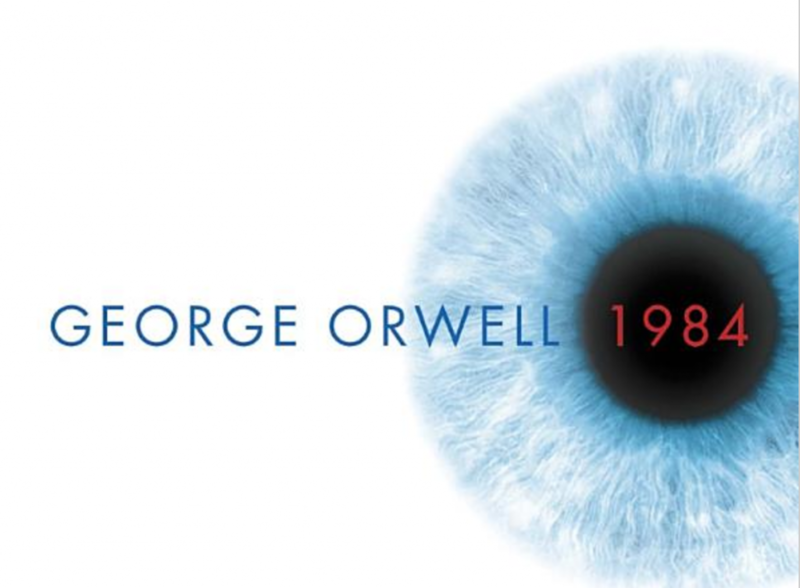 Amazon shows 1984 at #4,800. You are off by a factor of four thousand and eight hundred. Must be acceptable margin of error for liberals. If you bothered to click on the link in the post–the one that takes you to Amazon’s list of bestselling books–you’d see that it is indeed #1. Thank you for that alternative fact Bill. If you don’t want to mess around with an Audible trial, Overdrive has the ebook and downloadable audiobook free through participating libraries. #4800? LOL, you’re talking about number of reviews (currently 4805). Oh, boy. You’re both right, and wrong, after a fashion. The best sellers list linked above is what’s currently selling the fastest. The #4800 status is referring to all-time sales. So it’s #1 in the current period, #4800 over all. A simple matter of context, something both the left and the right could do a better job of observing. Wow! #1 in Dystopian Sci-fi novels seriously? What about the number 1 book on non fiction, female authored, novellas on white hedgehogs! Please stop trying to force your narrative. Jeez. Jonathan, the book is number 1 of all books. Period. As I’ve said before, click on the link and see for yourself. Take the time to think first. Comment after. Thank you for the Double Speak. Haven’t read it yet, have you? The Ministry of Truth thanks you for your support. I can just imagine people of the ctrl-left reading this, and totally missing that it’s about THEM. Just today, in fact, a once-respected man in my city is being “investigated” for crimethink. This is incorrect. Amazon was showing 1984 at 4800 REVIEWS. It’s up to 4806 reviews now. The number next to the stars has nothing to do with its sales rankings. Looking at the wrong thing must be an acceptable way to get facts for conservatives. Actually, it’s the Democrats he has to thank. Liberals believe whatever Democrats instruct them too primarily via their comedians, but also through their loyalists in news. Oh, that’s another thing, Synesso, in order to Orwell’s story to become reality, 95% of news would have to be mindlessly praising Trump and his allies like they did with Obama and Hillary. This isn’t Facebook. If that’s all you got, take it elsewhere. It is 47,000 Forty Seven Thousand and more since the November election. It is good to see that a conservative can actually think outside the box, you may be getting more progressive, congratulations and keep it up. It is 47,000 books sold. Forty Seven Thousand BOOKS SOLD and more since the November election. It is good to see that a conservative can actually think outside the box, you may be getting more progressive, congratulations and keep it up.